The most amazing, selfless, remarkable, wise and loving parents a girl and her brother could have. 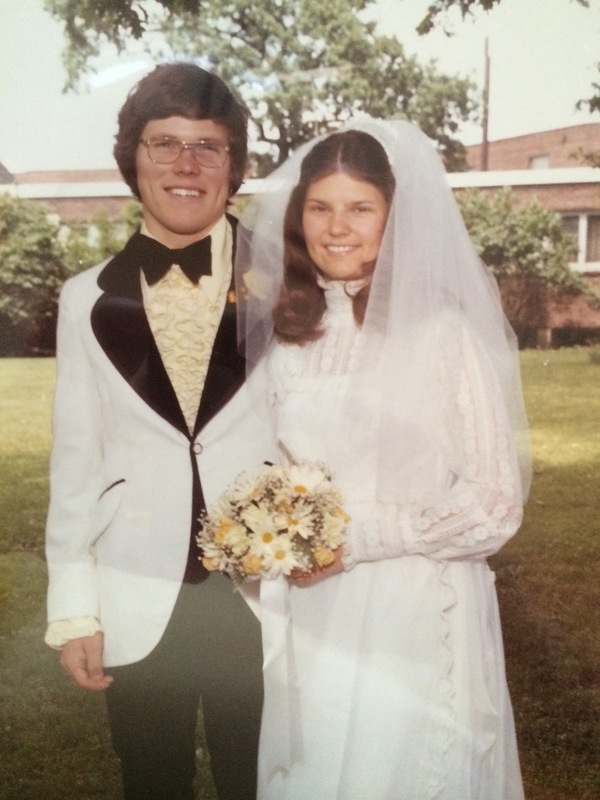 And now they are celebrating 40 years of marriage together, setting the bar on what love looks like through thick and thin, in times of awesomeness and near despair and with the many ebbs and flows that come on the journey. And you know what? They live this. It's all coming together now, their awesomeness, their love, their fearless in navigating as something as wonderful and challenging as marriage. May we all find this kind of love and friendship for 40 years and more. Congrats Mom and Dad - this is truly something to celebrate and be proud of!